This session will focus on strategies for keeping students engaged in music listening experiences by incorporating other active musical behaviors. Attendees will participate in sample lessons designed to introduce new pieces of music as children sing, move, and create during the listening process. Addressing diversity and inclusion has become increasingly relevant in classrooms. Teachers are growing aware of the need to create and expand an increasingly diverse learning environment that will best prepare their students to thrive in a complex society. Mindful music education embraces inclusiveness of the diversity in learning styles, ethnicity, race, gender, religion, socio-economic status, and family structure. The workshop addresses a growing need for building empathy in young students so that they can negotiate the world in a healthy and responsible manner. The workshop also illustrates optimal use of interactive technology like interactive boards, ipads and tablets within an active music making setting. Through movement, singing, playing instruments, body percussion, active listening, and composing activities students work cooperatively, think critically, and refer to collaboration rubrics while developing creative solutions to issues of bullying, gender identity, refugee and immigrant situations, poverty, racial and ethnic similarities and differences, and being labeled and stereotyped. The empathy building activities are inspired by multicultural music, dance, and diverse children’s books. Children’s literature may be used to build awareness and acceptance of self and others while working toward a common musical objective. Multicultural music and dance are effective conduits into foreign cultures. When handled with respect and integrity, these can be accessed and performed by students outside the native culture with the understanding that the interpretation of the music is framed within parameters of the music teacher's knowledge of the culture, and its duplication using available materials, instruments, and resources. 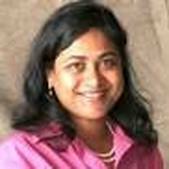 Bio: Manju Durairaj was born and raised in India. She studied at the University of Pune, India, where she obtained a BS in Mathematics. She was involved in graduate research projects on comparative pedagogical practices of Indian (Carnatic) and Western Music at Middlesex University, London, UK. She graduated with her second master’s degree in music education from VanderCook College of Music, Chicago. Manju is also certified in Orff-Schulwerk, completing her levels at George Mason University, with master classes at University of St. Thomas, and at the Orff Institute in Salzburg, Austria. Manju currently teaches Pre K-4 general music at the Latin School of Chicago. She is past president of the Greater Chicago Orff Chapter. She is a SMART certified trainer. She is an Adjunct Professor in Elementary General Music at VanderCook College of Music, Chicago. She is on the Diversity Commission of the National American Orff Schulwerk Association and on the Elementary General Music Council of IL Music Education Association. 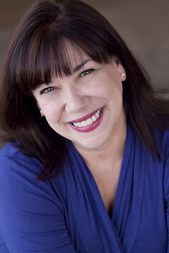 She has presented at ISME, AOSA, OAKE, NAfME, MKMEA, IMEA, ILMEA, WMEA, TMEA and other international and national conferences. She has been published in the Orff Echo, Reverberations, Illinois Music Educators Journal, and the Bulletin of the Council for Research in Music Education. Her publications with Hal Leonard include InterAct with Music Assessment Levels 1 and 2, and Technology in Today’s Music Classroom. Address: Szold Hall, 4545 N. Lincoln Avenue(East building), Chicago, IL Phone:(773) 728-6000 Workshop will be held from 9:30-1:30pm. Looking for new songs to add to your repertoire, and new ways to teach familiar favorites? First, We Sing! Songbooks 1 & 2 are packed with children’s songs, rhymes and games from around the world, selected, transcribed and annotated by Dr. Susan Brumfield. In this session, we will explore teaching activities, singing games and technology tools for incorporating these songs into a Kodaly-inspired, literacy-based curriculum. Dr. Susan Brumfield is Professor of Music Education at Texas Tech University, and holds a Ph.D. in Music Education from the University of Oklahoma. She is known throughout the United States and Europe as a clinician, consultant, author, composer, arranger and choral conductor. Dr. Brumfield is the author Jean Ritchie’s Kentucky Mother Goose, a book and CD memoir with American folk legend Jean Ritchie, which features rare and never-before-seen illustrations by Maurice Sendak. Other publications include Hot Peas and Barley-O: Children’s Songs and Games from Scotland and Over the Garden Wall: Children’s Songs and Games from England. Dr. Brumfield is currently working on Giro Giro Tondo: Children’s Songs and Games from Italy. She is a contributing author for John Jacobson’s Music Express Magazine and McGraw Hill’s Music Studio. 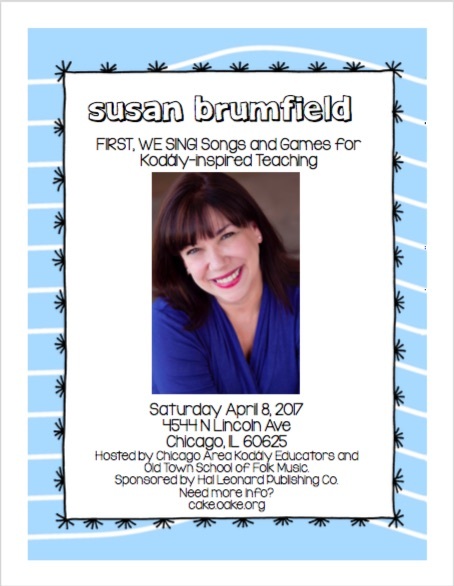 An internationally recognized expert in the Kodály approach, Dr. Brumfield is the author of First, We Sing! Kodály-Inspired Teaching in the Music Classroom (Hal Leonard), a set of Kodály-based of curriculum and resource materials for K-5 music. This comprehensive series includes the Teacher’s Guide, Teaching Strategies for Primary Grades, Teaching Strategies for Intermediate Grades, Practice Activities for Rhythmic and Melodic Elements and First, We Sing: Songbooks One and Songbook Two. Forthcoming volumes include Songbook Three, Active Listening in the Music Classroom and Songs for Reading and Writing. Other ancillary materials include applications for interactive whiteboard, student workbooks and classroom materials. Founder and Artistic Director of The West Texas Children’s Chorus, Dr. Brumfield is also in frequent demand throughout the world as a commissioned composer and guest conductor. Her choral music is published with Hal Leonard Music, Colla Voce Music and BriLee/Carl Fischer, and includes more than forty titles. With four choirs consisting of singers from Kindergarten through college, the West Texas Children’s Chorus organization serves children throughout the South Plains area, and serves as a teaching lab for TTU Music Education students. In addition to performances with the Texas Tech University Choirs, the Lubbock Chorale and the Lubbock Symphony Orchestra, the choirs have performed at the Texas Music Educators’ Conference, national conferences of the Organization of American Kodály Educators and the American Orff-Schulwerk Association, and has been featured in concerts at Carnegie Hall and other prestigious venues in NYC. The choir travels throughout the US on its bi-annual tours. Dr. Brumfield was honored in both 2012 and 2014 with the Texas Tech University College of Visual and Performing Arts Award for Outstanding Research, and as a two-time finalist for the President’s Book Award. In 2015, Dr. Brumfield was the recipient of the Louisiana Tech University Outstanding Alumni Achievement Award.